British author Lewis Carroll’s tales of a Victorian lass and her escapades in an enchanted place of talking animals, odd humans and other curious creatures have been made into numerous movies, TV shows and stage adaptations—dozens since Alice’s Adventures in Wonderland was originally published in 1865. In the early 1970s, the rock band Jefferson Starship made Alice the hook of its hippy-dippy song “White Rabbit,” which used her journey down a rabbit hole as a metaphor for another kind of “trip.” The ABC-TV modern-day fairytale anthology Once Upon a Time spun off a standalone series, Once Upon a Time in Wonderland, based on Carroll’s novels, in 2013. Clearly, something about the plucky, curious young Alice never falls out of fashion. “Go ask Alice,” sang Jefferson Starship’s Grace Slick. Go ask Alice, indeed, for she is a most resourceful gal in this Disney follow-up to the House of Mouse’s Alice in Wonderland, which reunites most of the cast of the 2010 film. 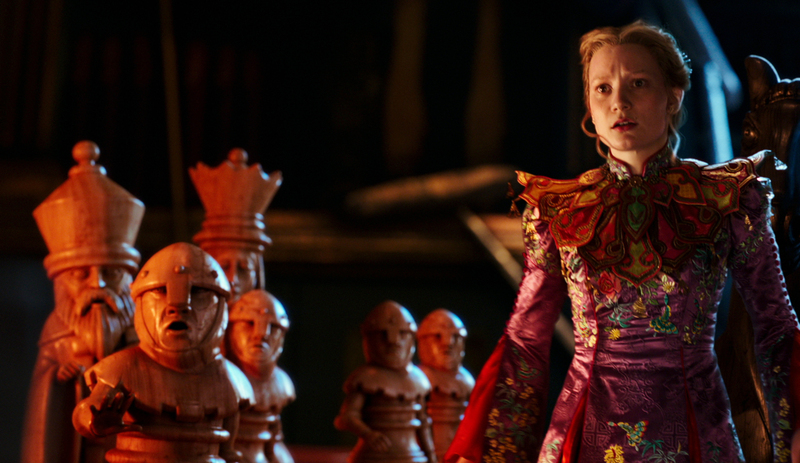 When we meet her in the opening scene, Alice Kingsleigh (Mia Wasikowska) is the cool-headed captain of her late father’s sailing ship, The Wonder, excitedly exploring the globe, narrowly escaping from pirates and clearly making her own way in a “man’s world” that wants to put her—and keep her—in her place. When the Mad Hatter (Johnny Depp) gets in a bit of a bind, his friends in Wonderland—now called “Underland”—know just what to do: Go ask Alice! That sets the stage for Alice’s return—this time through a magic mirror—to the enchanted realm, where she again meets up with the Red Queen (Helena Bonham Carter), the White Queen (Anne Hathaway), Tweedles Dee and Dum (Matt Lucas), the Cheshire Cat, the March Hare, the Dormouse and the Bloodhound. In order to help the Hatter, Alice must make a dangerous, daring trip back in time. That’s always tricky in any movie, and here it involves stealing a device called the Chronosphere from Time himself (Sacha Baron Cohen). The film’s weirdly wacky new character is a clockwork despot who speaks like German actor Christoph Waltz and is served by a staff of comical, robotic minions he refers to as his “seconds”—a time pun, get it? Once again, Johnny Depp is all tics, weird hair and crazy quirks—three shades of eye shadow, eyebrows that look like florescent orange caterpillars attacking his forehead, ghoulish white makeup and yellow teeth. 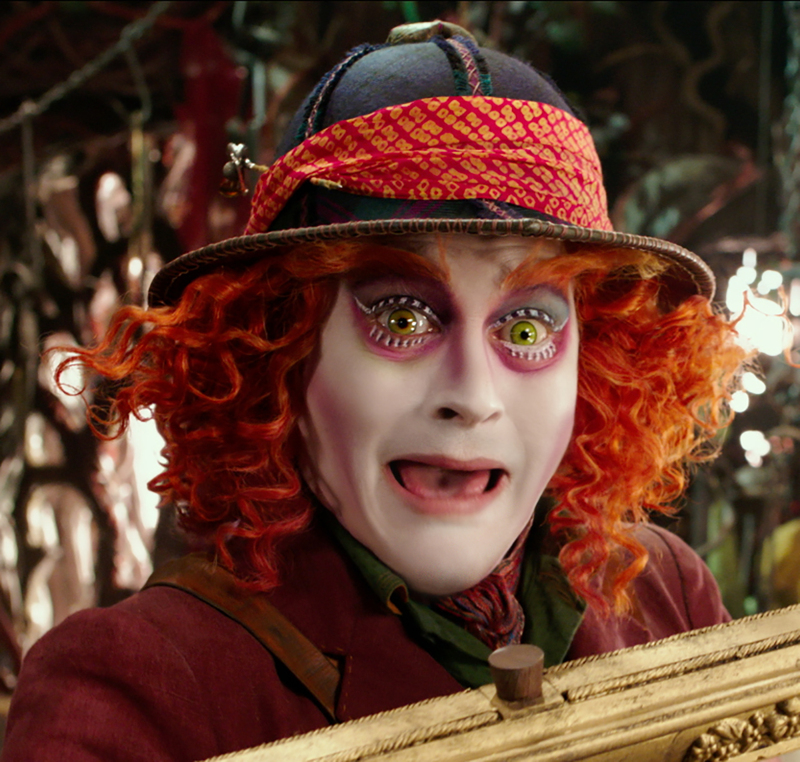 When the Hatter speaks, he sounds like he’s got marbles in his mouth and a lisp. It’s just too much. So it’s practically an invitation for Sacha Baron Cohen to glide right in and steal the show with a perfectly calibrated performance of comedic timing, camp and cleverness, which he does. 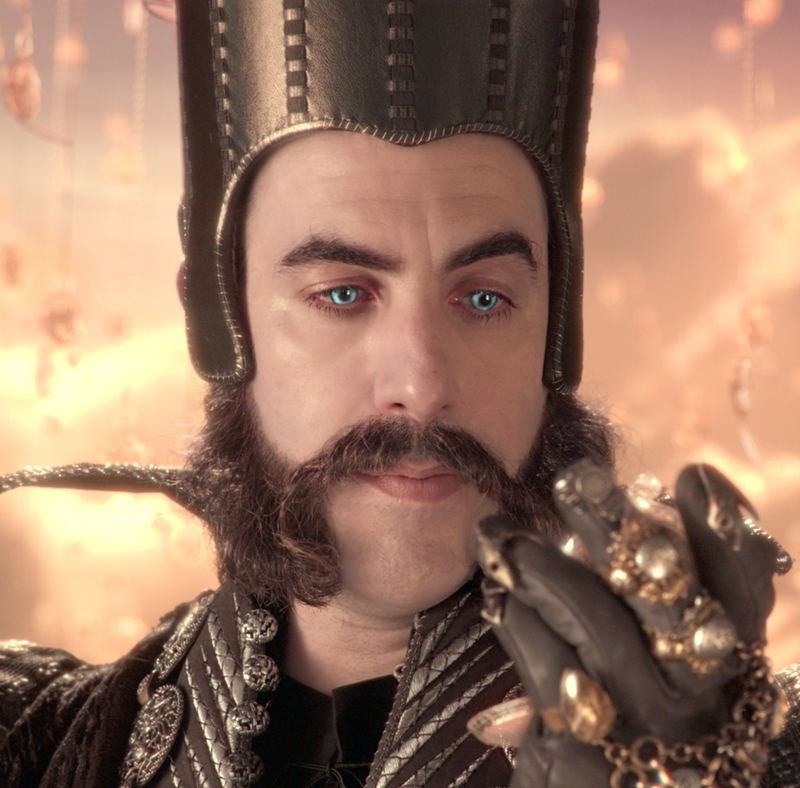 British director James Bobbin (who also steered two Disney Muppets movies plus the brilliant Flight of the Conchords and Cohen’s satirical Da Ali G Show) replaces Tim Burton, who directed the 2010 Alice in Wonderland. Burton’s influence remains as one of the producers, however, and the whimsy and imagination of his original are still very much evident. So: How long before we get our next trip to Wonderland/Underland? Go ask Alice!